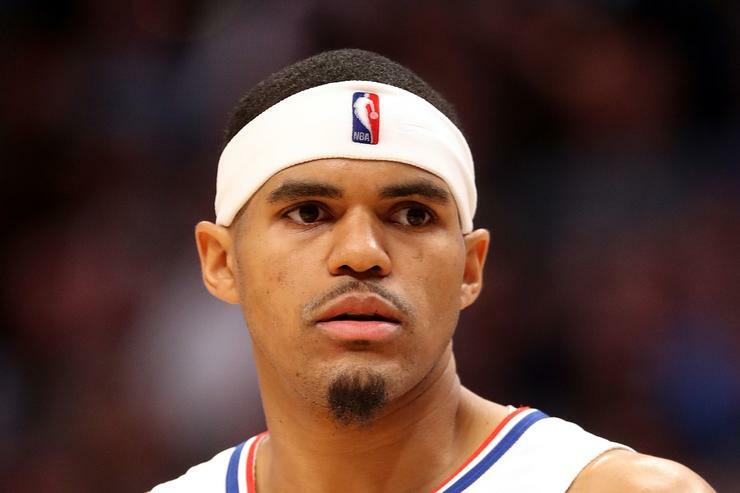 Instead, it's the Clippers that have agreed to deal one of their signature players in Tobias Harris to the Philadelphia 76ers, in exchange for multiple players and future draft picks. Headed to Philadelphia with Harris are Marjanovic, 30, a 7-foot-3 behemoth now averaging 6.9 points and 4.3 rebounds in just 10.7 minutes per game, and Scott, a 30-year-old power forward averaging 4.7 points and 3.3 rebounds per game. The Clippers re-stocked the roster with pieces for the future. They'll have almost 4 all-stars on the court at the same time with Ben Simmons, Joel Embiid, Jimmy Butler and now Tobias Harris. The Sixers also give up four draft picks. Harris, 26, is having a breakout season with the Clippers and is now averaging 20.7 points per game while shooting 42 percent from 3-point range. For the Sixers, this is the second big-name acquisition for first-year Sixers General Manager Elton Brand, who snagged Jimmy Butler earlier this season from the Minnesota Timberwolves. The picks are the big part for the Clippers: they're receiving a 2020 first-rounder, Miami's unprotected 2021 first-round pick, and two second-round picks (2021 and 2023 per Woj). They'll have big decisions in the summer, when Butler and Harris are both due for free agency, but for now, they're going to be really good.